The inside story of George Lucas, his intensely private company, and their work to revolutionize filmmaking. In the process, they made computer history. Discover the birth of Pixar, digital video editing, videogame avatars, THX sound, and a host of other icons of the media age. Lucas played a central role in the universe of entertainment technologies we see everyday. This book ventures in territory never explored, as Rubin-a former member of the Lucasfilm Computer Division-reconstructs the events in Hollywood, in Silicon Valley, and at Lucas' private realm in Marin County, California, to track the genesis of modern media. With unprecedented access to images and key participants from Lucasfilm, Pixar and Zoetrope-from George Lucas and the executives who ran his company, to the small team of scientists who made the technological leaps, Rubin weaves a tale of friendships, a love of movies, and the incessant forward movement of technology. This is a compelling story that takes the reader into an era of technological innovation almost completely unknown. Author's introduction. Why me? Why this? Before 1967 - Let's meet the title character and his young pals. 1977-1979 Catmull and team pack out of NYIT and arrive at Lucasfilm for a new project. 1979-1980 Lucasfilm busy place making Empire Strikes Back... and it's into this world that the computer scientists arrive. 1980 Meanwhile, Francis Coppola is also working on the same issues as Lucas, almost competitively, taking a different tack. 1980 The state of the art in computer audio and video and how Lucasfilm is addressing the problems. 1980-1981 The computer division continues to evolve. 1980-1982 Coppola is pushing on the path to use video instead of film, and pioneers High Def. 1981-1982 The graphics group has to prove their inventions can work, and get to work on Star Trek II, the Wrath of Kahn. 1982-1983 The ongoing saga of a bunch of computer guys intermingling with the guys making Return of the Jedi. 1982-1983 The addition of games to Lucasfilm's computer division (the birth of LucasArts Entertainment). 1983-1984 The EditDroid and SoundDroid products take form, nonlinear editing becomes possible. 1984 Lucasfilm decides to spin out the Hollywood products as a subsidiary. 1983-1984 Pixar, the graphics group, takes on its first animation; John Lasseter joins the team. 1984 - The Games Group changes things up, and Lucasfilm gets a new president. 1985 - Things aren't going so well at the company... Lucasfilm is trying to sell Pixar. 1985 - The Games Group is holding its own, and invents avatars and the first online role playing game. 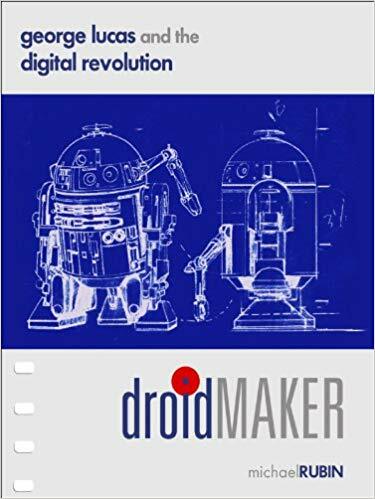 1986 - The DroidWorks closes.